If you change your mind, we just need 31 days’ notice to remove Sky Movies from your Sky TV package. To proceed you may need your payment details for any one off payments. Sky may use information about you, including the shows and channels you watch, to help us improve the services we offer and to provide you with personalised services. These include programme recommendations and tailored advertising. This involves storing information about you on your devices, for example to make some of the adverts you see more relevant to you. If you opt out you will still see the same number of adverts but they will be ones that appear as standard. Sky may also use your information to contact you about products and services that we think you`d like. For more information please see ourPrivacy & Cookies Notice.Opt out here. By continuing, you are agreeing to this unless you opt out. Tick the box to confirm you have read and agree to Sky's Terms and conditions and Sky's Privacy & Cookies Notice. 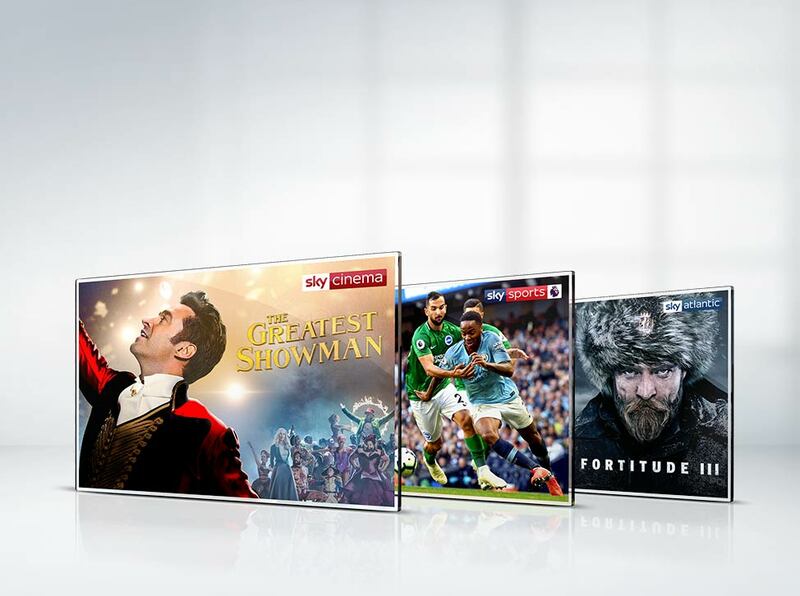 Clicking 'Pay Now' will submit your order for Sky with the products you've chosen. We'll email you to confirm receipt and the next steps to complete your order. You agree your services may start during the cooling off period. You may still cancel but you will need to pay for any services used and any costs incurred up to that point. Prices and services may vary. We will let you know about any material changes before we make them. I have read and agree toSky's Terms and conditionsandSky's Privacy & Cookies Notice. You can enjoy great entertainment and all the sporting action from your favourite team when you join Sky TV with Sky Sports. Get live coverage of your favourite sports, including Barclays Premier League, UEFA Champions League, F1®, domestic and international cricket, European and US Tour golf and lots more. 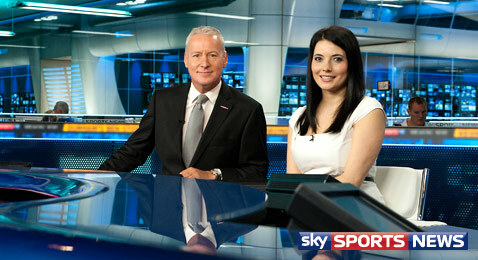 Join Sky Sports to enjoy great live sports action at home and on the move. Plus, watch the most-talked about shows with our best ever entry pack of more than 35 entertainment channels. Watch all of our six Sky Sports channels, wherever you are in the UK and Ireland, with Sky Go on your iPad, iPhone, laptop or selected Android smartphones. All at no extra cost to your Sky Sports subscription. Don't miss any of the sporting action from your favourite team. Check the online Sky Sports listings for all the highlights, full TV guide and Remote Record. Europe’s leading 24 hour sports news channel, Sky Sports News gets even closer to the breaking headlines - bringing you all the news, views and speculation from the world of sport. For more information about what you can receive as a Sky staff member, please call 084 4241 1295. Our Sky Sports apps make it even easier to enjoy all the sporting action from your favourite sports, with in-depth coverage of breaking sports stories, team pages, video-on-demand highlights and much more. Unfortunately we are unable to show your exclusive offers available online. To continue or for more information, please call 08442 411 818. Unfortunately we are unable to show your exclusive offers available online. To continue or for more information, please call 0818 719 852. To place an order or change your products please call our dedicated team of advisors on 033 033 23 033. Your session has timed out. Please try again. If you are still unable to view your exclusive offers online, please call 08442 411 818. Your session has timed out. Please try again. If you are still unable to view your exclusive offers online, please call 0818 719 852. Your session has expired. Please try again. If you are still unable to view your exclusive offers online, please call 08442 411 818. Your session has expired. Please try again. If you are still unable to view your exclusive offers online, please call 0818 719 852.